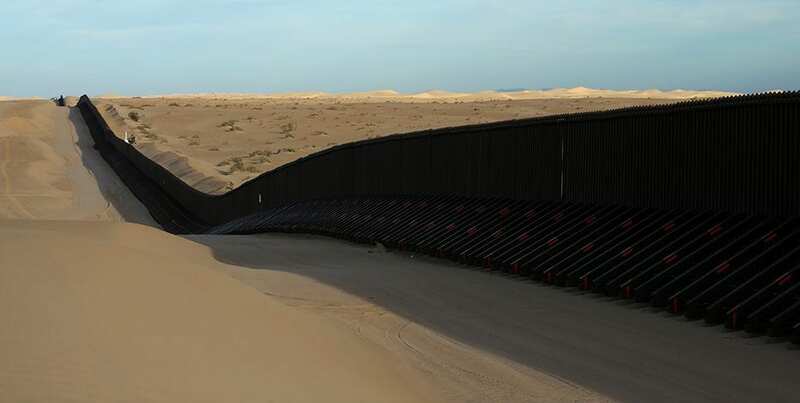 The border fence between Mexico and the United States is pictured near Calexico, California, in February 2017. A self-identified MS-13 gang member arrested over the weekend told Customs and Border Protection (CBP) that he was part of the caravan of immigrants trying to enter the U.S. Agents working the El Centro Sector crossed paths with the man eastward of the Calexico Port of Entry in California on Saturday around 6 p.m., the agency said in a news release. Border Patrol agents questioned the man, who they “suspected of being in the United States illegally,” upon which he revealed he was a Honduran citizen and part of MS-13, CBP said. “The man also told agents he traveled to the United States border with a large group of people from Central America intending on filing for asylum in the United States,” the news release said. The individual was later identified as Jose Villalobos-Jobel, 29, who will be held until he’s ultimately sent back to Honduras, CBP said.